At around 11:40 on Friday morning, Israeli soldiers kidnapped a 33 year-old man while he was picking olives on his family land with his family in Haris. 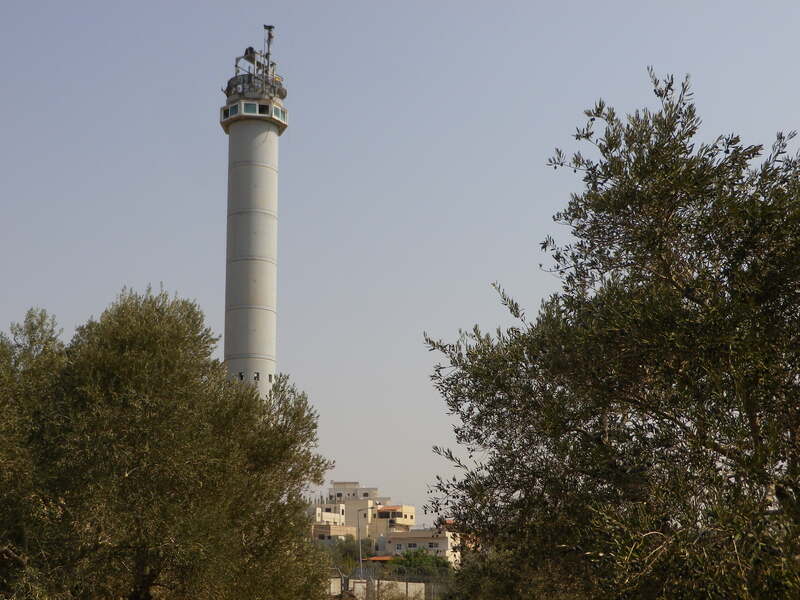 They were picking olives under the Israeli army watch tower that was built on their land, near route 505, when two soldiers showed up and accused them of throwing stones onto route 505. Israeli Watchtower Built on Hares Village Land. The mother replied that there was no one throwing stones. Soon after that, four army jeeps drove up to them and kidnapped one of their sons. Within 15 minutes, soldiers had surrounded him, then blindfolded him and handcuffed his hands behind his back, then took him off to an unknown destination . The family was not informed of his whereabouts for the five hours he was detained. This was especially stressful for the family as another of their young sons is currently in his 3rd year of administrative detention for an allegation of stone throwing. Palestinian Olive Harvester Detained and Beaten. IWPS interviewed him to find out what happened during the five hours he was on the hands of the IOF. He does not know where he was taken to but suspected it was Yaqir, an illegal settlement, because it was a short ride in the army jeep and Yaqir is nearby to Hares, from where he was kidnapped. The 33 year-old remembers one soldier saying “he threw stones”. “If we don’t arrest you today, we’ll arrest you tomorrow”, said another. There was no evidence produced to support stone throwing, although the entire area where the family was picking is under electronic surveillance due to its proximity to the watchtower. He was left on the floor inside a building with his handcuffs on and blindfolded for 5 hours. Lower ranking soldiers kicked him and punched him every time they passed by him, when the higher ranking officers were not around. This continued for all the while he was under detained. 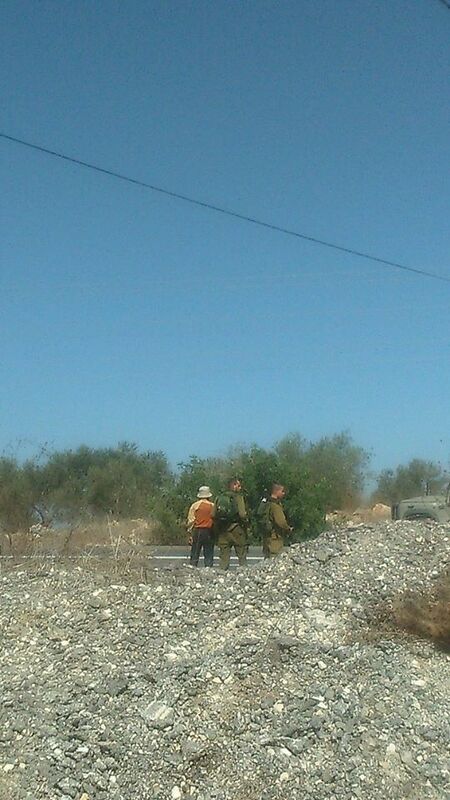 One soldier, a Russian soldier who did not speak Hebrew, offered to help him saying, “I know you didn’t throw stones. I will give you water and cigarettes.” He never had a chance to give him either. IWPS asked what he was asked in the interrogation. He told us that he was not questioned; there was no interrogation. After hours, he was told that they were going to take him to prison. He was driven somewhere, still blindfolded and handcuffed. The jeep stopped and he was pushed out of it. Handcuffs were cut and his blindfold was removed. He was left at the entrance of Hares, the village where he lives. This incident illustrates, and gives further evidence of how Israeli soldiers treat Palestinian civilians. A family was simply harvesting their olives, under the ever watchful eye of the Israeli Occupation Forces, who arbitrarily kidnap, beat and psychologically torture one of the olive harvesters. Laws do not apply anymore in Occupied Palestine. The International Women’s Peace Service, Deir Istiya, Salfit, Palestine. IWPS is currently accepting volunteers for 2015-2016. Please visit our website at http://iwps.info for more information on our organization and how you can be a part of it. Operating out of Deir Istiya, International Women’s Peace Service monitors and responds to Human Rights Abuses in the area. Part of our mission is to contact the relevant authorities in the case of any arrests that take place in the Salfit area.